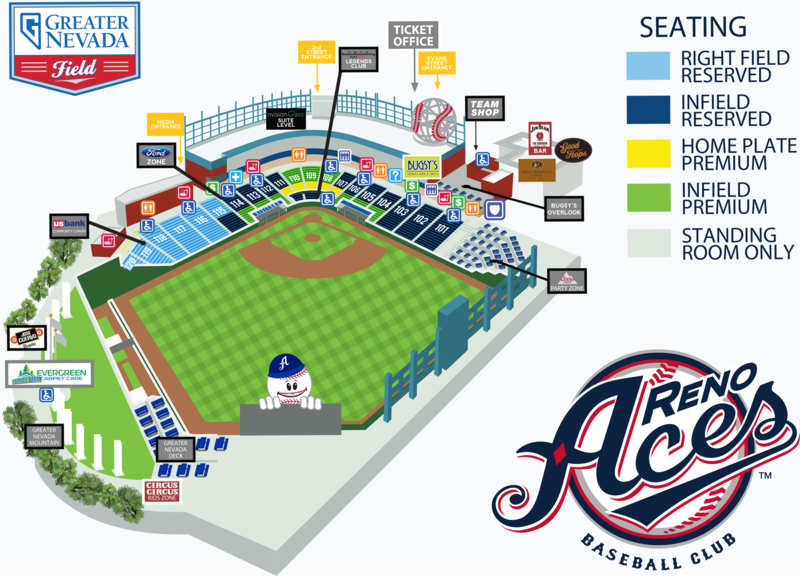 RENO, Nev. -The Reno Aces will open up their 2019 campaign on the road with a five-game series against the Pacific Northern Division champion Fresno Grizzlies on April 4th through 8th. The boys will return home on April 9th for a seven-game homestand against the Albuquerque Isotopes and El Paso Chihuahuas. Fresno (April 24-28) and Las Vegas (April 29-30) round out the first month of the season's 14-game home slate. 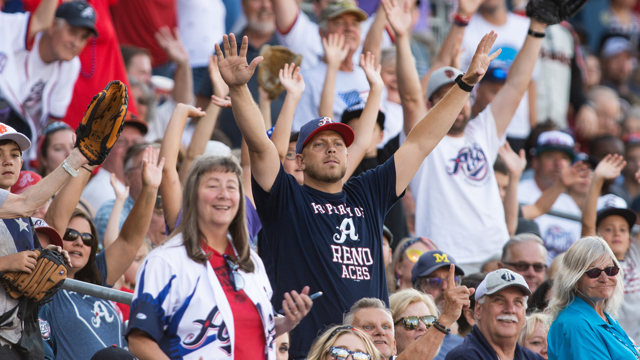 In May, the Aces play 15 games at Greater Nevada Field, highlighted by a nine-game homestand against the Salt Lake Bees and Tacoma Rainiers from May 11th through 20th. To end the month, Reno will take on in-state rival Las Vegas for four games from May 25 to 28th. The Oakland A's top affiliate, the Nashville Sounds, kick off the summer in the Biggest Little City for a three-game series June 4th through 6th. The 2017 Pacific Coast League champion Memphis Redbirds will make the trip to Reno on June 7th through 10th before sending the Aces on the road for a seven-day road trip. Albuquerque and Sacramento round out the first half of the Aces season at home with series on June 20th - 24th and July 4th through 7th. Greater Nevada Field hosted over 10,000 fans on the fourth of July every season since 2014. This year, the Aces had 10,311 fans in attendance. July and August are going to be loaded with exciting Pacific Coast League action. Reno will host El Paso, Fresno, and Tacoma from July 15th through 25th before welcoming the Chicago Cubs Triple-A affiliate, the Iowa Cubs, to Northern Nevada for three games. The Omaha Storm Chasers will cap off the American League visits with a four-game set August 2nd through 5th. The Aces conclude their 2019 regular season at home against Salt Lake from August 22-25. Included on the Aces schedule are home dates on Memorial Day (May 27) and Independence Day (July 4). Single-game tickets are still available for the four remaining regular-season home games by visiting the ticket office or renoaces.com. For 2019 ticket packages or more information, call (775) 334-4700. Follow the club all season long on Twitter (@Aces) or like the team on Facebook.